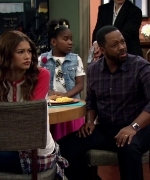 We added screen captures from the last few episodes of K.C Undercover. Check them out below or in the gallery. K.C. Captures + Marie Claire! I have added HD Captures of K.C. Undercover episode “Mother Of All Missions”, Make sure to check those out over in the gallery along with some very beautiful images of Zendaya on the cover of the May Issue of Marie Claire! 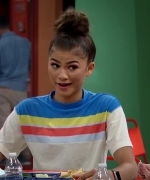 i have added around 85 HD Captures of Zendaya in K.C. episode “Rebel With A Cuz”. Make sure to check out the captures over in the gallery by clicking on the thumbnails below! I have added HD Captures of the latest K.C. Undercover episode K.C. & Brett: The Final Chapter Part 1. Make sure to check them out over in the gallery along with new photoshoot images from Kode Magazine, Covergirl, and Girls Life Magazine. Also below is a super awesome Behind The Scenes look at the upcoming music video of Finding Neverland Zendaya recorded for the Broadway Musical Album. Make sure to check that out below, i can’t wait to see the full video! Happy New Year + New Themes! Happy 2016 everyone! What a year 2015 was for Zendaya! We all know that 2016 will be much bigger and so much more going on. 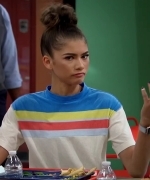 Zendaya is going to be so busy this year! Hopefully with it being a new year means new music very soon! As you can see the site got a new makeover with a main theme and gallery theme! thanks to my friend at cherryuniverse! I hope you guys love the new looks as much as i do! With that being said i have finally added HD Captures of zendaya’s fashion video she did with her new song “Close Up”. Make sure to check them out over in the gallery! Zendaya drops her new song in a Fashion Video. Make sure to watch it below, im so in love with the song that i can’t wait for her new music to come out! I have also been updating the gallery with new photoshhoots, events, candids, and etc. You can check those out by clicking on the thumbnails below! 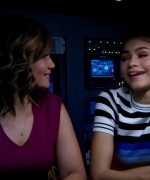 I have added HD Captures of Zendaya guest starring in ABC’s “Black-ish” as well as last night’s new episode of “K.C. Undercover”. data mining Make sure to check out both sets of captures over in the gallery! P.S – Im looking for an experienced Fansite Person to help keep the site updated. To qualify you have to be owning a fansite right now! Send me your information at zendayafan@hotmail.com Thanks in Advance! I have added over 200 HD Captures from the 1 hour special K.C. Undercover episode that aired on Monday, guest starring Raven Symone! If you missed the episode you can head to the Watch Disney Channel App, or Disney Channel on Demand to catch the entire episode! Sole of Daya Shoe Launch, K.C. Captures & Taylor Swift Concert! 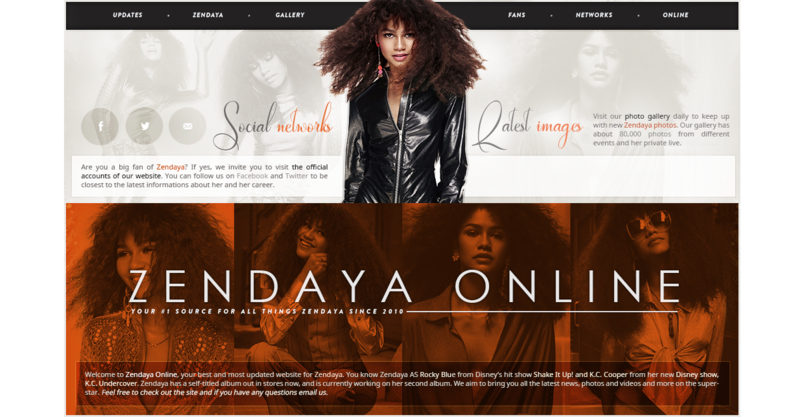 Hi guys, i have added some amazing images of Zendaya in Las Vegas at the Sole of Daya Shoe Launch Event. I can’t wait to buy the shoes when they are released, they look amazing! I have also added HD Captures of K.C. Undercover episode “K.C.’S The Man”. http://zendaya-coleman.com/wordpress/sole-of-daya-shoe-launch-k-c-captures-taylor-swift-concert/ http://zendaya-coleman.com/wordpress/sole-of-daya-shoe-launch-k-c-captures-taylor-swift-concert/ http://zendaya-coleman.com/wordpress/sole-of-daya-shoe-launch-k-c-captures-taylor-swift-concert/ http://zendaya-coleman.com/wordpress/sole-of-daya-shoe-launch-k-c-captures-taylor-swift-concert/ http://zendaya-coleman.com/wordpress/sole-of-daya-shoe-launch-k-c-captures-taylor-swift-concert/ http://zendaya-coleman.com/wordpress/sole-of-daya-shoe-launch-k-c-captures-taylor-swift-concert/Make sure to check them out as well. Also the other night Zendaya was photographed arriving to the Taylor Swift Concert at the Staples Center, She took the time to take some pictures with fans! Hi guys, i have added some great candids of Zendaya Around New York and London the past couple weeks! Ill be adding more soon as well! I have added HD Screen Captures from the K.C. Undercover episode “Debutante Baller”. Make sure to check them out! I have also added Episode Stills from this weekend’s new episode “K.C.’S The Man”. – In the Episode, KC goes undercover as a male cadet with Ernie to rescue an agent’s son at an all boys’ cadet academy. Make sure to tune into Disney Channel This Sunday (August 16th, at 8pm).